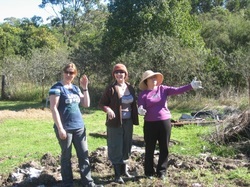 You are invited to be a part of the Morisset and Peninsula Sustainable Neighbourhood Group. We would love your ideas, your help and your participation in our events and activities. Meet your neighbours, increase your skills and knowledge, and enjoy your place in beautiful Morisset and Peninsula. These are some of the projects we are running or have previously run. Contact the project leaders listed below to find out more. Help look after our local bushland, and retain important habitat corridors by conducting weeding, planting, and bush regeneration activities. Creating various artworks with a range of Morisset residents and community groups to encourage conversations around sustainability and our place in Morisset. Our artworks will be installed around our neighbourhood to create a sense of place, character and community pride. Morisset and Peninsula Sustainable Neighbourhood Group have now expanded to include all community members and suburbs of the Morisset Peninsula! On Saturday 31 October 2015, we teamed up with the Southlake Harvest project to launch our new Sustainable Neighbourhood Action Plan and celebrate with our community. There was a garden tour and stalls. People came to chat with our members about our projects, exchange or buy fresh produce from Southlake Harvest and take a walk around Yunung Community Garden. Ability Links offered free vegetable seedlings, the Scouts sold drinks and the Mandalong Rural Fire Service provided a sausage sizzle along side their truck. It was a great day! Join members of the worldwide community in acknowledging and in honouring the commitment of a country’s armed forces to humanity’s ultimate but most elusive goal. Theme: The right of peoples to peace (and what I can do to help it happen). Features: Associate Professor Chris Hamer, chair of the Institute for Global Peace and Sustainable Governance and founder and president of the World Citizens Association of Australia; Associate Professor Daniel Reynaud, School of Humanities and Creative Arts, Avondale College of Higher Education; Bonnells Bay Community Choir; and Avondale Guitar Ensemble. Includes: World and Australian citizenship affirmation ceremonies; ringing of peace bell; and afternoon tea. Presented by the South Lake Macquarie sub-Branch of the Returned and Services League of Australia (NSW Branch), the United Nations Association of Australia New South Wales Division (Hunter branch) and Avondale College of Higher Education. Supported by Morisset and Peninsula Sustainable Neighbourhood Group. How do you start a healthy food garden? Will you be driving electric cars in the next ten years? Which herb does what? 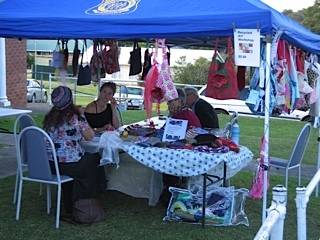 The Hunter & Coast Eco Health Festival delivered ten workshops on topics about the environment and your health; there were also local stallholders and, to eat with your cuppa, some tasty treats. Lachlan Storrie, biologist and permaculture teacher on permaculture gardening. For more information and event photos click here. Do you want to see social, economic and environmental strength for our community? Find out what Transition Newcastle is doing. What is their successful Transition Streets Challenge? Come along to our meeting and hear our Guest Speaker, Graeme Stuart's presentation! Remember grandpa's prizewinning tomatoes? And grandma's homemade pickles? A series of classes, workshops, and interest groups to share skills and knowledge amongst neighbours. Learn from local experts about gardening, solar power, rainwater, revegetation, local plants and animals and more! 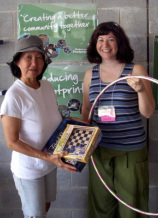 Share your knowledge about living sustainably and caring for our environment. Fill out the contact form here to find out more. 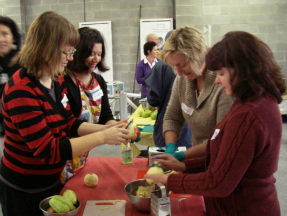 Have a look at some of the photos from our 'Preserving Fruits and Vegetables' workshop from May 2011, and our Sustainable Property Tour in September 2011. Regular events to share your good quality, unwanted goods with your neighbours. We can save money and stop good things going to landfill. Encouraging neighbours to meet, celebrate, and socialise through group activities and informal get togethers.